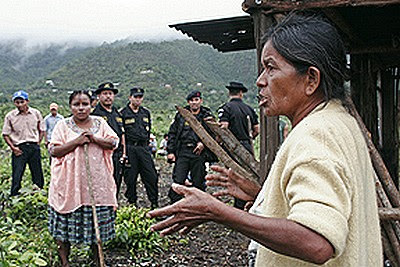 Guatemalan women have decided to face the giants of Canada guilty of terrible human rights violations. The Maya Q'eqchi indigenous women's group has launched a legal challenge that could put the vast mining interests of the Canadian giant in serious danger. In the documents we read of violence and abuse, illicit expropriations and houses burned by security officers. It seems it is the first time that someone stands up against the mines corporations in Canada. Is it perhaps a coincidence that this courage is once again from women and, I add, indigenous ones?